Long established consumer champion 'Which?' has judged KIA to be the best car manufacturer. This is a massive accolade for KIA. It won praise from Which for a combination of superb cars, value and KIA's unique seven year warranty and on the basis of response to satisfaction and reliability surveys of Which? members.. It was the first time KIA reached the 'Which?' short tist and illustrates the fantastic progress KIA has made over the lest few years. Which? 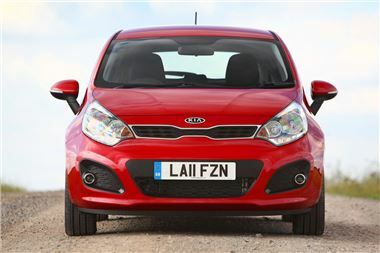 Chief Executive, Peter Vicary-Smith praised KIA for being one of the top ranked brands in the 2012 Which? Car survey for both customer satisfaction and reliability. KIA beat off short-listed competition from BMW, Hyundai, Skoda and Toyota to take the prize. Which? said in its summary: "KIA's new Rio, Sorento and Picanto have all impressed in our Test Lab, while the new cee'd and Optima get the thumbs-up from our initial road tests. Compared to where KIA was just five years ago, we feel that KIA is the most improved car brand around." Kia Motors (UK) Limited Managing Director Michael Cole said: "We see this as a great honour as Which? has a long history of championing the consumer and being remarkably thorough in its testing process."